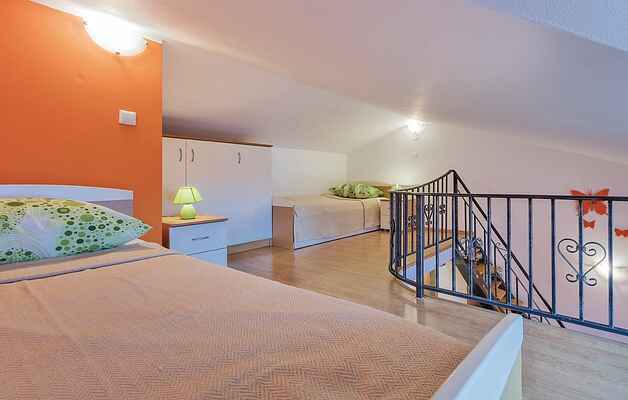 This charming and pleasantly furnished holiday apartment is located in Medulin. On the terrace you can enjoy your morning coffee with a nice view of the sea. Nearby is a campsite with a variety of sports, recreation and entertainment possibilities for children and adults. For active vacationers, there are bike trails nearby on which you can explore the beautiful countryside. Visit other famous tourist places in the area such as Cape Kamenjak, the city of Pula and Brijuni National Park.